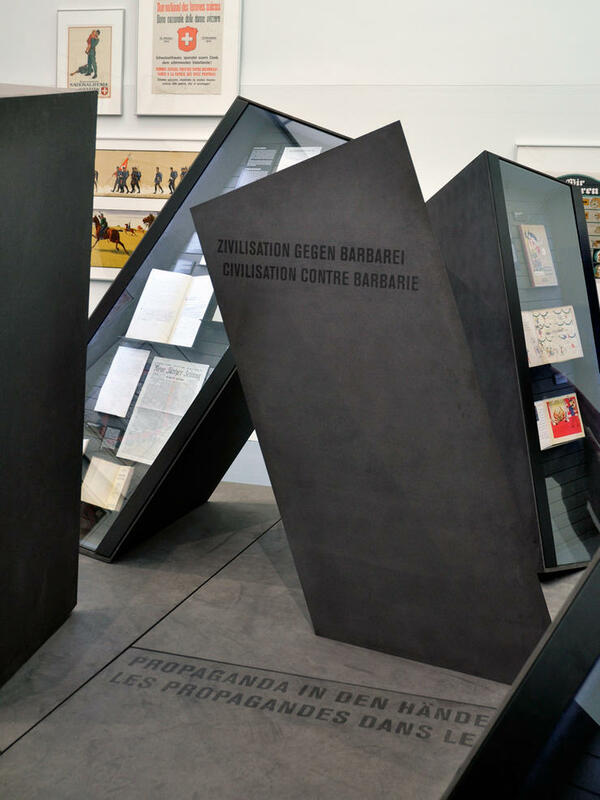 The spatan black MDF panels with their colour, texture, weight and design create a sombre mood – associated with the years of crisis. 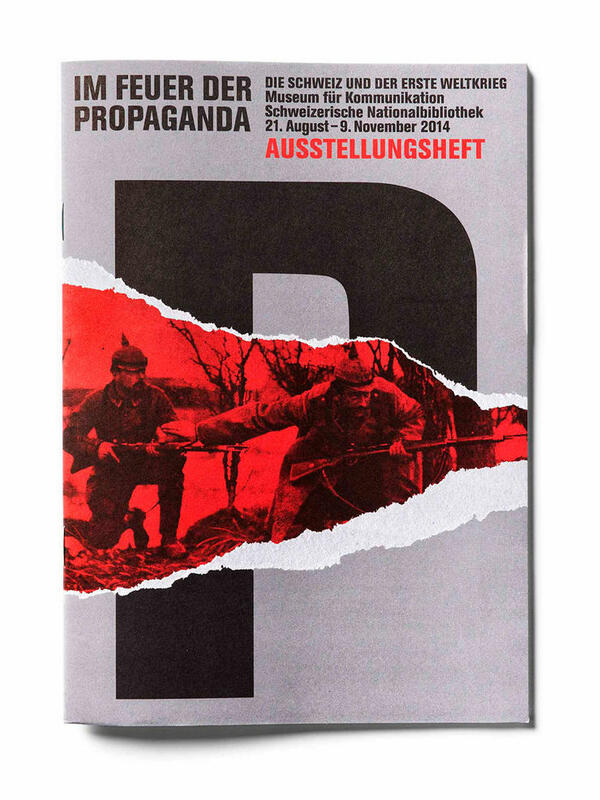 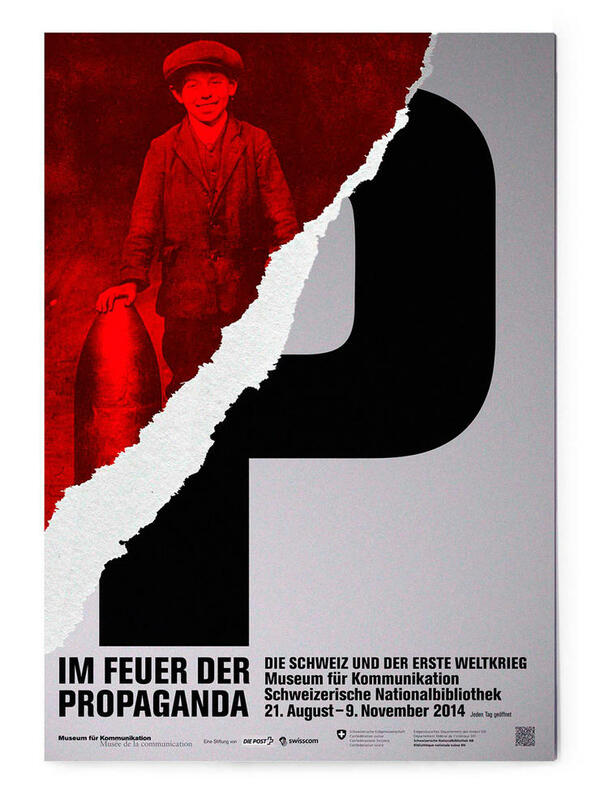 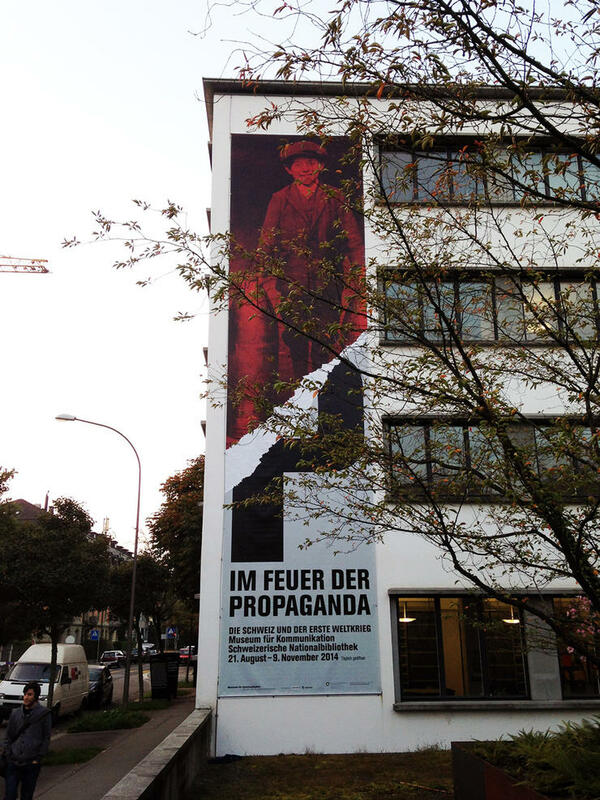 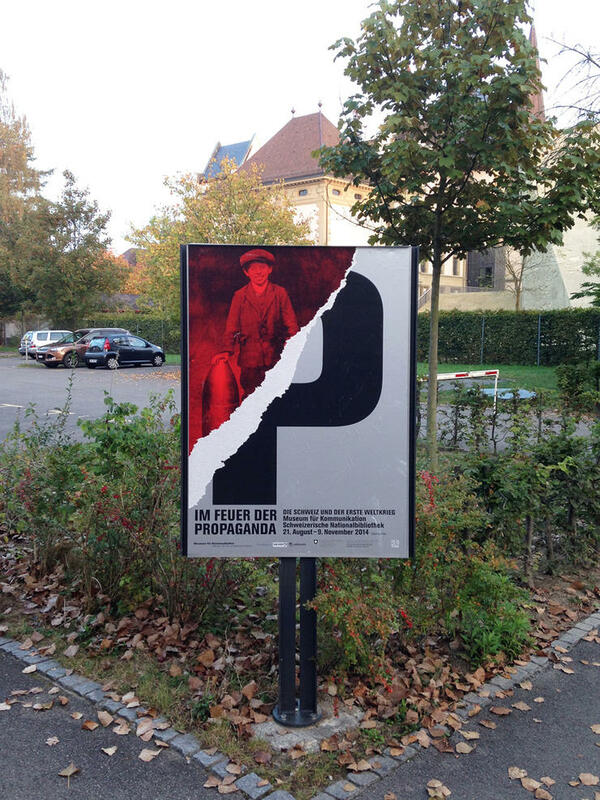 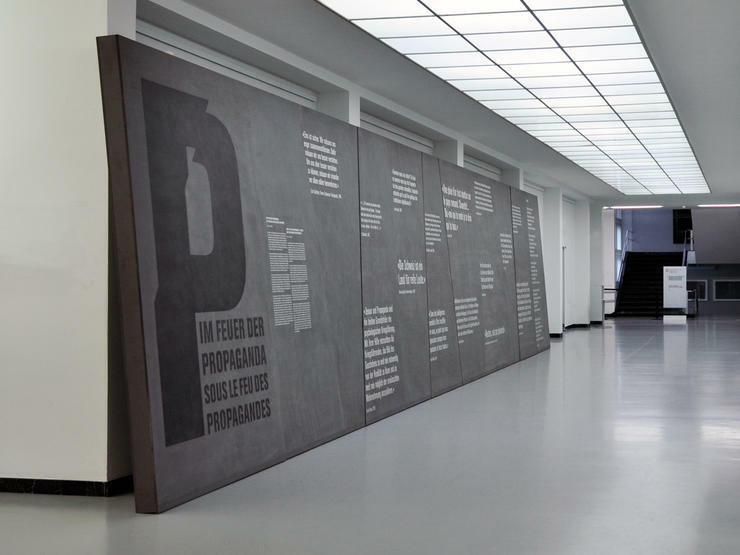 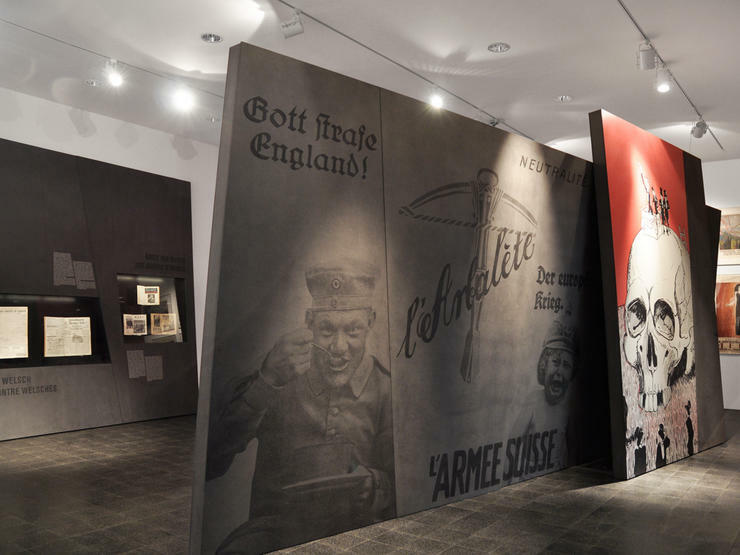 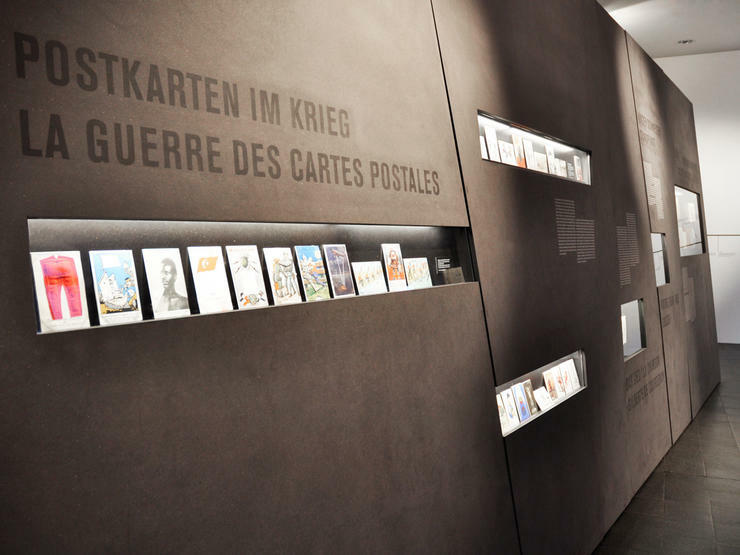 The joint exhibition project of the Swiss National Library and the Museum of Communication is dedicated to the propaganda during the First World War. 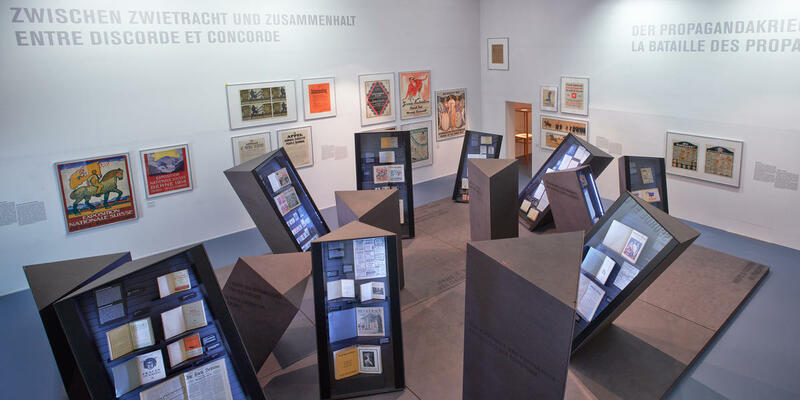 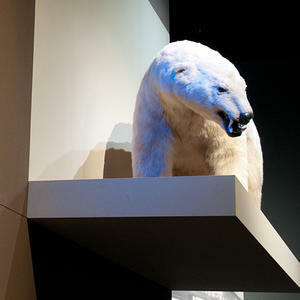 The Scenography of the exhibition illustrates the crisis in Switzerland during the First World War. 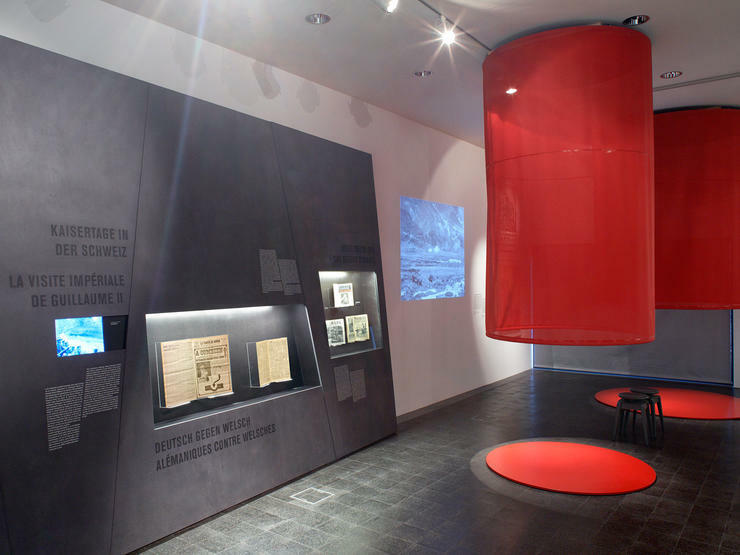 Large rectangular surfaces which embody cultural values and Switzerland's supposed stability stand unexpectedly in a "crazy" way in the room. 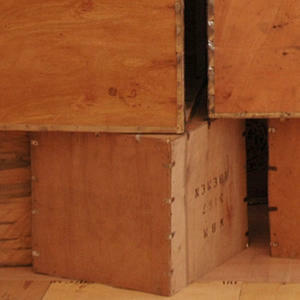 With its obliqueness, a society too often out of kilter, is represented. 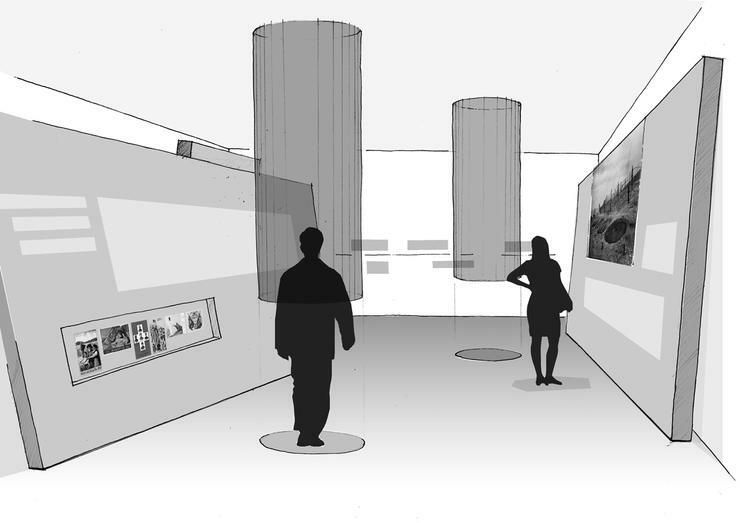 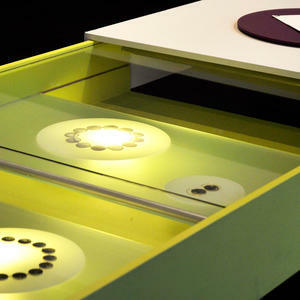 Opposite, the viewer sees a torn spatial situation – harassed, threatened and insecure.